Welcome to our self catering holiday home , Alder Cottage, which nestles at the foot of Benbo mountain and already appears on the Ordnance Survey map of 1845. This cosy holiday rental is ideally located on Bluebell organic farm in County Leitrim, away from busy roads and noisy traffic. The holiday cottage is perfect for a peaceful vacation and a quiet break. 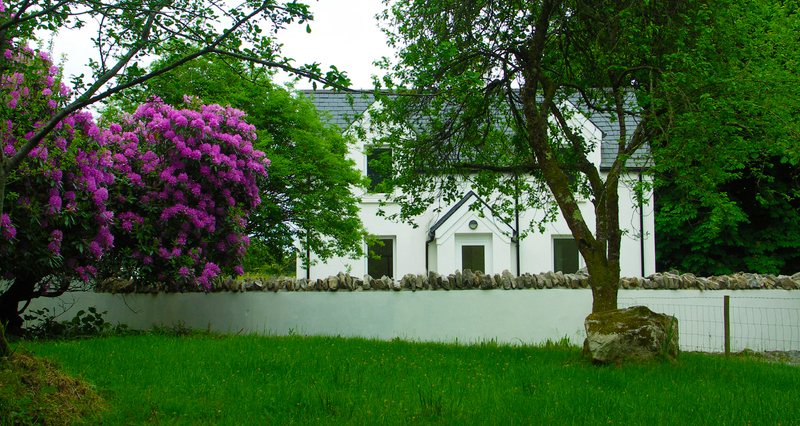 Alder cottage is the ideal base to make daytrips to Donegal, Slieve League Cliffs, Achill Island and Connemara, as well as the nearby Yeats Country. Visit Queen Maeve’s tomb on Knocknarea, Benbulben, O`Rourke`s Table, Glencar Lake with its waterfall, the megalithic tombs of Carrowmore, and the recently restored Parke`s Castle on the shore of Lough Gill and its famous Lake Isle of Innisfree. Organic meals can be delivered to make it a complete holiday. For more information contact Mary. Perfect for a tranquil holiday getaway, immersed in the beautiful countryside scenery.